Generally, the articles that I write about motor vehicles are about 400 words in length. What I discovered about the Grandland X is that it has more than 400 amazing features! In fact this car kept my rapt attention for the entire five days that I spent testing it out. I simply cannot rave enough about this car in the limited space available, so instead I will tell you about some of my experiences. Winter mornings are not my favourite. Getting into a cold car in a cold garage is no fun. Well, never fear when you’re in a Grandland X. You simply turn on your steering wheel heater and under seat heating and before you’ve left your driveway you are as snug as a bug in a rug. I’m sure you’re familiar with those sweltering days were, after having left your car in an unshaded parking bay, the interior is no different to a sauna. Well in the Grandland X you need never worry about your back sticking to the car seat or your bare legs burning on the hot upholstery. No sir, you simply switch on the air-conditioned seats. If, on that freezing morning, you woke up late and had to drink your coffee while behind the wheel, had to sign the kids’ homework book enroute to school and had to call your boss to postpone the early meeting, you need not fear about your safety. The Grandland X has your back. From blindspot warnings to automatic braking and adaptive speed limiting to lane departure warnings, this car will have its eyes on the road even you can’t. It’s a good thing too because the infotainment system is awesome and you may find your gaze diverted to the wealth of features available on the bug screen. I live in the country and while driving the Grandland X discovered just how much animal life there is in the area at night. Not only are the headlights incredibly powerful but they cover the roadside better than a game ranger with a spotlight. The bright lights dim for oncoming traffic and when you turn you will find your path well-lit as the lights turn too. At first glance the Grandland X seems rather small. 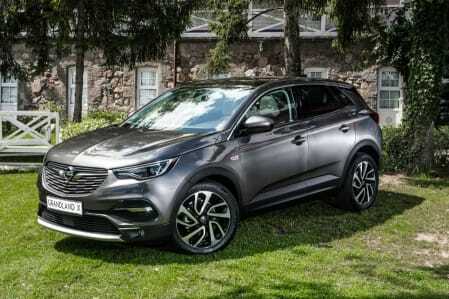 Like all Opel’s it has a very neat and sleek design but once I opened the doors and boot I discovered that this was a family sized car on par with some of the larger SUV’s on the market. If this isn’t enough for a holiday excursion then there are also roof rails to accommodate the more bulky items. If you’re not a good driver then the Grandland X is. It will even parallel park for you. 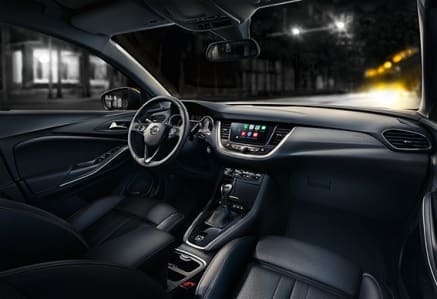 If you love driving then the Grandland X will put a smile on your face. Its 1600 engine produces 121kW and 240Nm. This is more than enough for you to have fun and to lug your entire family and their gear to your next adventure. I loved the Grandland X and was constantly complimented on my choice of car by car guards, friends and neighbours. I really wish that it was mine! For more information, visit Williams Hunt Opelon the William Moffet Express way in Port Elizabeth or call 041 396 4600 to book a test drive.